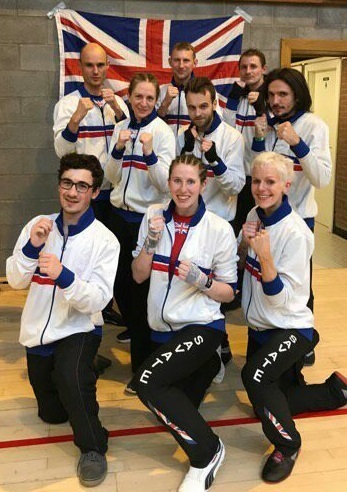 On 6-7th October 2017, nine British athletes (3 women, 6 men) travelled to Loverval, Belgium, to test their ability against the best fighters from across Europe. Accompanied by world-renowned judge/referee Jasbir NAGI, the Team GB presence at the competition was one of skill and success. Four bronze medals were won, and all athletes fought fantastically, showing off their true talent in the ring! “When friends and family ask me how I got on at the Euros, the first thing I talk about isn’t the fights. It’s the canteen. And not just because I’d been cutting weight for two months. “Think of a high school cafeteria but, instead of cliques, you’ve got countries,” I tell them. On one side, you’ve got the Finns, relaxed and deep in conversation. Then you’ve got the Italians, looking less than impressed with their pasta. And then you’ve got us, Team GB and, yes, at least three cups of tea are on the table. Congratulations to all the athletes, and thanks to the organisers, officials, coaches and supporters who work tirelessly to make these competitions a success!